Russian World Forums • View topic - Has Israel Lobby Destroyed Americans’ First Amendment Right? Has Israel Lobby Destroyed Americans’ First Amendment Right? 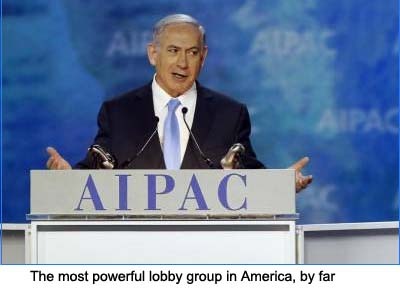 Post subject: Has Israel Lobby Destroyed Americans’ First Amendment Right? "Israel’s unique ability to discredit all criticism of its policies as a mere expression of anti-Jewish sentiment is the greatest public relations success in the history of PR"
"It is disingenuous to deny the influence of this small minority in American life. This influence becomes a problem when it is used to silence free speech." Indeed, the power of the Israel Lobby is today so widely recognized and feared that editors, producers, and tenure committees anticipate the lobby’s objections in advance and avoid writers, subjects, and professors judged unacceptable to the lobby. The latest example is The American Conservative’s firing of former CIA officer Philip Giraldi. http://www.informationclearinghouse.info/47942.htm Giraldi wrote an article for the Unz Review about Israel’s influence over American foreign policy in the Middle East.http://www.unz.com/pgiraldi/americas-je ... icas-wars/ The article didn’t say anything that the Israeli newspaper Haaretz hadn’t said already. The editor of The American Conservative, where Giraldi had been a contrubutor for a decade and a half, was terrified that the magazine was associated with a critic of Israel and quickly terminated the relationship. Such abject cowardice as the editor of The American Conservative showed is a true measure of the power of the Israel Lobby. Meny seasoned experts believe that without the influence of the Israel Lobby, particularly as exerted by the Jewish Neoconservatives, the United States would not have been at war in the Middle East and North Africa for the last 16 years. These wars have done nothing for the US but harm, and they have cost taxpayers trillions of dollars and caused extensive death and destruction in seven countries and a massive refugee flow into Europe. For a superpower such as the United States not to be in control of its own foreign policy is a serious matter. Giraldi is correct and patriotic to raise this concern. 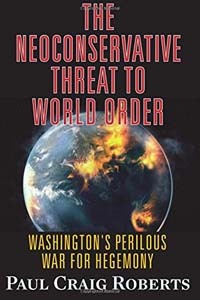 Giraldi makes sensible recommendations for correcting Washington’s lack of control over its own policy. But instead of analysis and debate of Giraldi’s proposals, the result is Giraldi’s punishment by an editor of a conservative publication anticipating the Israel Lobby’s wishes. Americans should think about the fact that Israel is the only country on earth that it is impermissible to criticize. The Israel Lobby’s purpose in labeling a critic an “anti-semite” is to discredit the criticism as an expression of dislike or hatred of Jews. In other words, the criticism is presented as merely an expression of the person’s aversion to Jewishness. A persistent critic is likely to be charged with trying to incite a new holocaust. It is possible to criticize the policy of Germany, France, Spain, UK, Italy, Brazil, Mexico, Russia, China, Iran, the US, indeed, every other country without being called anti-German, Anti-French, Anti-British, Anti-American, etc., although US policy in the Middle East is so closely aligned with Israel’s that the Israel Lobby regards critics of US Middle East policy as hostile to Israel. The power of the Israel Lobby is seen in many places. For example, the US Congress demands that RT, a news service, register as a Russian agent, but AIPAC, before whom every year the US Congress pays its homage and submission, does not have to register as an Israeli agent. The many anomalies in the Israel Lobby’s power pass unremarked. For example, the Anti-Defamation League (ADL) defines criticism of Israeli policies as defamation and brands critics “anti-semites.” In other words, the ADL itself is set up in the business of defamation or name-calling. The incongriuty of an organization created to oppose defamation engaging in defamation as its sole purpose passes unremarked. Israel is very proud of its power over the United States. Israeli political leaders have a history of bragging about their power over America. But if an American complains about it, he is a Jew-hater. The only safe way for an American to call attention to the power Israel has over the US is to brag about it. It is OK to acknowledge Israel’s power if you put it in a good light, but not if you complain about it. So, let me put it this way: Israel’s unique ability to discredit all criticism of its policies as a mere expression of anti-Jewish sentiment is the greatest public relations success in the history of PR. The stupidity of the goy is easily overcome by the more capable Jew. Hats off to Israel for outwitting the dumbshit Americans and taking over their foreign policy. Perhaps Israel should take over US domestic policy as well. Or have they already? It has been 30 years since the Federal Reserve has had a non-Jewish Chairman, and for the past three years Stanley Fischer, the former chairman of the Central Bank of Israel, has been Vice Chairman of the Federal Reserve. Since the Clinton regime, the Treasury Secretaries have been predominately Jewish. We can say that their financial talent makes them natural candidates for these positions, but it is disingenuous to deny the influence of this small minority in American life. This influence becomes a problem when it is used to silence free speech.